VETERANS MIDDLE SCHOOL – Students and staff at VMS kicked off Hispanic Heritage Month with a breakfast merienda at the library on September 15th. While everyone enjoyed pan dulce and coffee, the VMS Mariachi entertained them with their musical talents and sang traditional Mexican songs. Hispanic Heritage Month buttons and informative brochures were also given out to commemorate the festivities at the library. 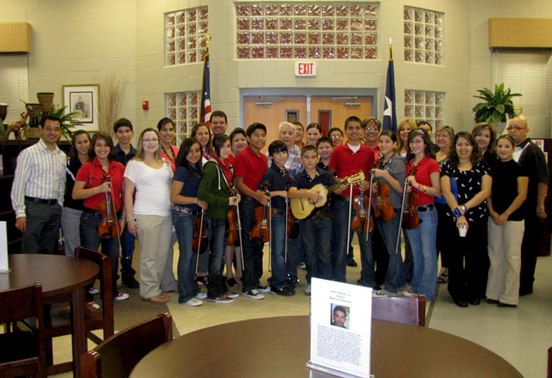 Pictured above are some of the VMS Mariachi players and staff who celebrated this event.